The third-generation Yaris, launched in 2011, although back then it did little to stand out in a sector of competent and fun small cars. A refresh in the middle of 2014 brought with it sharper looks and a cut in CO2 emissions for the hybrid version that saw it hit two crucial tax benchmarks: the entry-level Icon model has CO2 emissions of 75g/km, which means in the current tax year it qualifies for just 5% BIK tax; 75g/km is the latest benchmark for the London congestion charge discount, and this model is still the only car without a plug that will get you in the charging zone for free. Higher spec versions have a higher BIK tax band and do not qualify for the congestion charge discount. 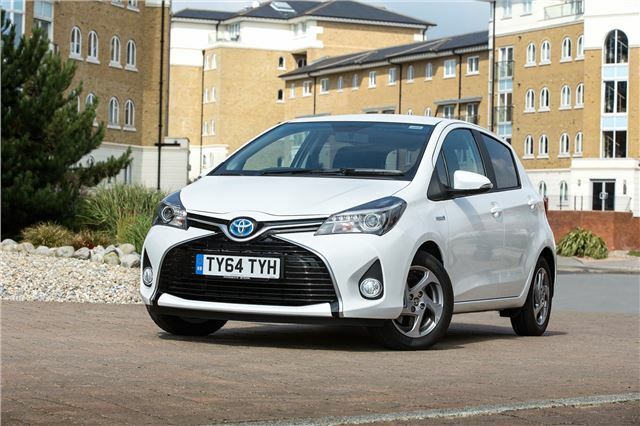 Read the Toyota Yaris review here.